I’m the worlds worst about planning a meal from start to finish and not thinking about the bread until we’re about ready to eat. While Jordan rolls are one of my favorite breads to serve at meals, followed by my Mama’s Hoe Cake at a close second, when you’ve got a family of rumbling stomachs and the meal about to go on the table there is no time to call either of those into play. That is where these rolls come in handy. 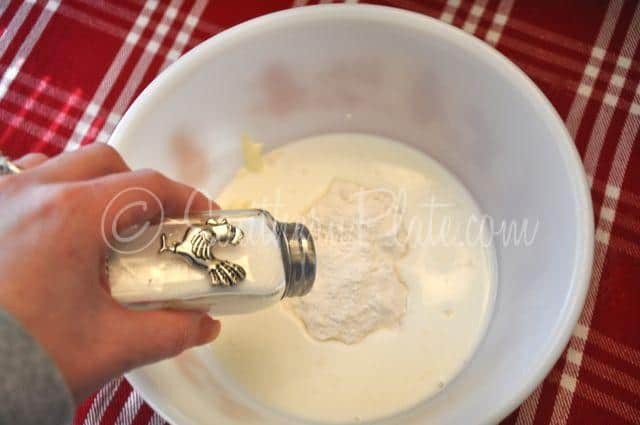 If you work fast, you can have them ready start to finish in about ten minutes using ingredients you probably already have on hand. Note: Using what you have on hand, how cool is that? Being able to make a meal for your family without having to buy anything special. I think the best meals come out of that, just like the best lives come out of “using what you have on hand” to make your own happiness. Okay, done being philosophical for now (“for now” meaning for this paragraph). Now let me start this post by saying that if you are someone who doesn’t care too much for mayonnaise, you’re in good company. I’ve never been a “Ooh mayo!” type gal myself. It kinda grosses me out, to be honest. * Thing is, though, mayonnaise is mostly just oil and eggs so lets look at it from that perspective for the basis of this recipe- because, while I don’t care for mayo, I love these rolls. 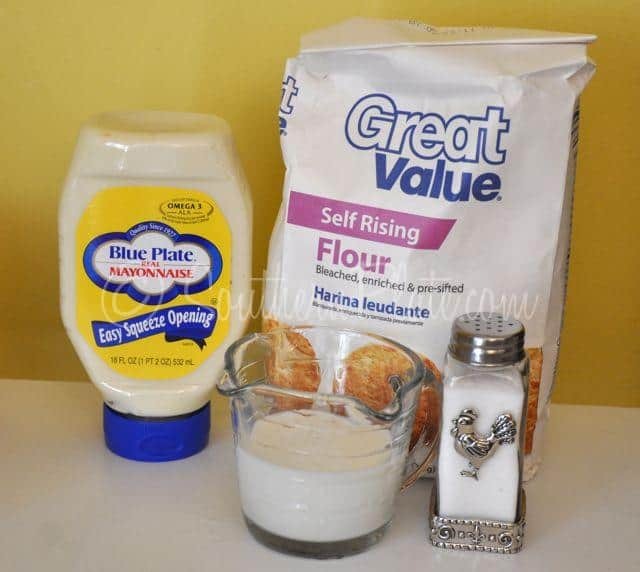 The ingredients are easy and you probably already have them on hand: Mayo, Milk, salt, and Self Rising Flour, or Harina Leudante as we have just now learned is the Spanish translation for “Self Rising Flour” , I think. So for all the folks who think the South doesn’t have culture, I just wanna give you a big old triumphant Harumph! We got so much culture down here you can pick up another language just walking down the aisle of a grocery store. *See that asterisk up there after the phrase “to be honest”? I put that there to bring to light something that has always perplexed me, and that is folks who use the phrase “to be honest”, as I just did – only I used it for the sole purpose of being able to go off on this tangent ~winks~. When we use the phrase “to be honest” we are pretty much saying “up until this point I haven’t been…” or “being honest is so rare for me that I need to declare I am about to do it if I should ever hit on an honest moment in conversation”. I used to work at a bank whose chief officer used that phrase in every other paragraph. He was known to be a man of integrity but still, when someone handling your money says that you can’t help but feel a few beads of sweat around ye olde forehead, ya know? Another thing I don’t understand is why we say “I could care less” when what we really mean is “I couldn’t care less”. Add in a your dash of salt. This just gives them a little more yummy oomph. I love this little salt shaker. I got it at Cracker Barrel several weeks back. They have a lot of pretty rooster stuff right now. I digress...but don’t I always? Stir that up with a spoon until it is all gobbledy like this. These are kind of a cross between a biscuit and a roll, so if you want biscuits, call them biscuits. If you want rolls, call them rolls. 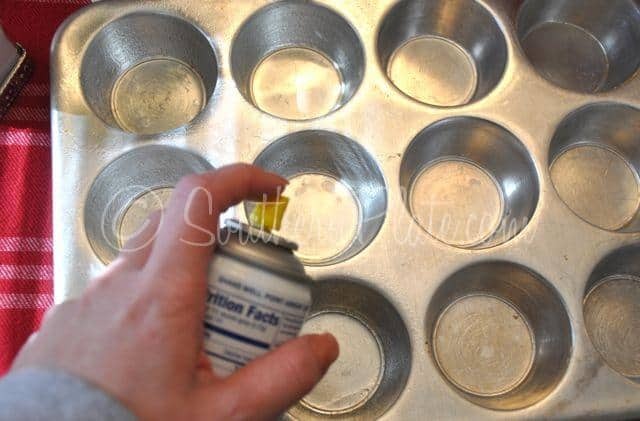 Now spray six cups in a muffin tin with cooking spray. I also like that this recipe just makes six, which is usually plenty for us. Divide your batter between the muffin cups. Now put these in the oven at 425 for 8-10 minutes. See how easy that was? Dump in a bowl, stir, bake. While they are baking, lets have us a little show and tell, shall we? Ahh, this bowl. I love this bowl. Folks, I’ve coveted this bowl for a very long time. 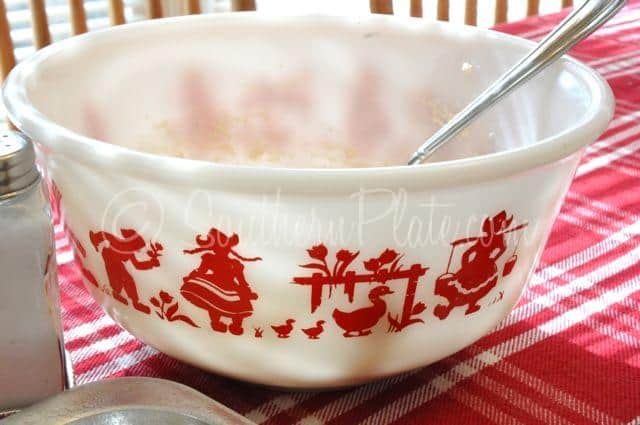 You see, it belonged to my mother and every time I went to her house I would inevitably end up opening her kitchen cabinet and spying this bowl. My great grandmother had one just like it and I’ve been looking for one to buy for quite some time with no luck. Last time I was there I got out my phone to take a photo of it in order to help my search and told Mama what I was doing. When I left, she surprised me by handing me a bag. Guess what was inside it? “You just go ahead and take it and think of me when you use it” she said. This bowl was made by Hazel Atlas back in the day and the pattern is commonly referred to as “Dutch”. It is a beautiful milk glass and exceptionally well made. I love the vintage pieces like this and really need to do another post on my vintage pyrex pieces for you soon. Whenever I need a new dish, I always look to the old stuff first. I actually don’t use any of the new pyrex because I’ve had it explode on me before (see here for a report Consumer Reports did on that) . Isn’t it amazing that pyrex made forty years ago is baking today better than the new stuff? If that isn’t a testament to old fashioned quality I don’t know what is! Okay, so the whole exploding Pyrex thing was a bit of a downer…let us move on to flowers to lighten the mood! And now for another show and tell since we have a few more minutes before our rolls are done. This is my new Hydrangea bush. I dearly love Hydrangeas, almost as much as I love daffodils. Ricky brought this one home for me for Valentine’s day. I’m going to plant it in the front of my house. I already have five huge hydrangeas in the back yard so you know my front yard has been feeling neglected without one. It is pink now but will turn blue after I plant it due to the acid content of our soil. Aren’t they just the prettiest blooms? Call ’em what you want and serve ’em when ya need ’em. With a recipe that just has you throwing a few ingredients together in a bowl and stirring, then cooking for eight to ten minutes, it is entirely possible to have these done start to finish in ten minutes. Yeehaa and pass the gravy! Here are our finished rolls, all ready to accompany your country dinner, sop up gravy, or spread with butter and jelly. Grease six cups in muffin tin. 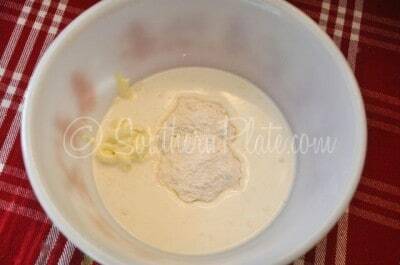 Divide batter evenly among cups. Serve as a roll or a biscuit. *To make your own self rising flour, see my Frequently Asked Questions Page. it is in the chairs around the table. Submitted by Beverly, and so very true! Frankly* (to follow your tangent) I never really liked mayo either. Probably because my mom never used it much while we were growing up. BUT…. these rolls look great and I am going to try them soon! You really can’t taste the Mayo in them. Let me know what you think after you try them. I think you will be pleased. Mayo in biscuits is amazing; every time I add a heaping tablespoon of mayo into my biscuitdough and into my cornbread batter, my husband makes a special comment about how great they taste. 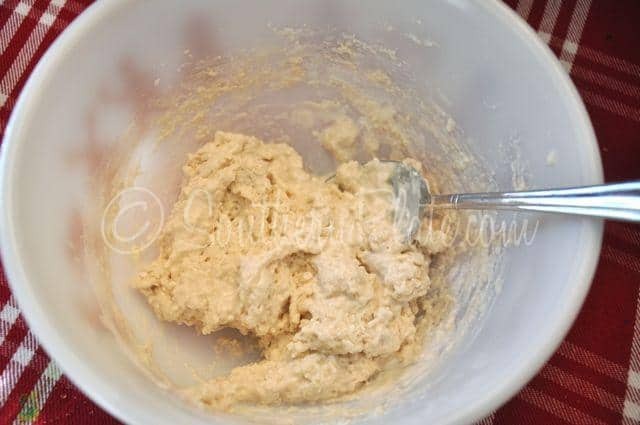 I also cut in a little extra virgin olive oil and use regular flour, baking powder and salt; pinch of sugar, is nice, too. I am headed into the kitchen right this minute to make these! I always think at the end of cooking, darn! I shoulda made some rolls with this. Now I can! That is how I always feel too!! I hope you enjoy Annie! Can’t wait to try these! Another busy mom friendly recipe 🙂 Thanks Christy!…..BTW love the bowl! Thank you Carrie, I hope you enjoy the rolls!! these sound great and I am a a Blue Plate mayo gal myself! As Paula Deen would say anything with butter or mayo has got to be good. Making these tonight! I hope you like them Robin…but I have a feeling you will love them! Ok, so I am not a mayo gal either, rarely have it in the house, don’t care for the miracle whip stuff either, but I do have that because that is what my dear hubby likes. Can I substitute that for the mayo? Mary, I haven’t ever tried them using Miracle Whip but I think it would work just fine. If you try it out let me know how they turn out. I love love love these rolls…although they are in my handy dandy recipe basket as Mayonnaise Rolls. My mom and grandmother has made these for as long as I can remember. I made them for my husband when we were dating and he fell in love….with the rolls =) By the way, I love reading your blog…its an everyday thing for me. Thank you so much Penny!! I am so glad to have you as part of the family here. I recently read about the exploding pyrex. The article stated that the company sold out and pyrex is now made overseas and they, evidently, are using the original formula. There was a warning to NOT use the new pyrex that is now sold. On the hydrangeas, I’ve always heard they should be planted on the North side of your house. On the rolls/biscuits, I’ve used your recipe several times since I’d seen it posted. My family has enjoyed the very much. LOVE your site! So glad I found it. You are so sweet Judy, so glad to have you as part of the Southern Plate Family!! And thanks for the tip on the hydrangeas. What a precious memory Diane! Thank you so much for sharing!! Can;t wait to try them. I absolutely love your Jordon Rolls but hey, 10 min. instead of an hour can’t beat that. Three things you can’t recover: The word…after it’s said. The occasion…after it’s missed. The time…after it’s gone. Just a thought for all us busy folks. Take a minute, make some rolls and smell the hydrangeas. I love your thought for the day!! So true, thank you so much for sharing!! ~giggles~ Great minds think alike! Well dinner was last night around 7 oclock, and there is nothing left but 1 piece of chicken and about 5 rolls (I doubled the recipe)–no make that 4, I’m eating one right now that I warmed in the microwave and put apple butter on. Yum!!! The rolls were a big hit, and everyone was just flabbergasted when I told them how they were made. (I did use salad dressing instead of mayo–coz that was what I had–like you I don’t make no special trip to the store). The only other thing I did differently was to use paper baking cups in my muffin tin. I sprayed them with oil on the inside of the paper. Made cleanup of my pan much easier and the roll/biscuit didn’t stick to the paper. Okay…so these are in the oven while I finish reading the post! I hope you enjoy Sally!! Can you use light mayo? I know in some recipes it says not to use it. I haven’t personally ever used Light Mayo but I have heard from others who have and they say that they turned out great. Give it a whirl and let us know how they turn out for you. I use basically the same recipe, but I double it and add sharp cheddar cheese. Got this recipe about 25 years ago from a former sister-in-law. 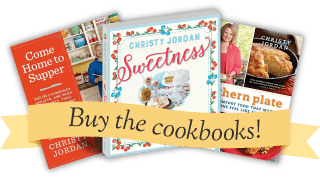 I love the easy, simple recipes you share with us! Adding this to the list…we’re having the cheesy chicken & rice casserole for dinner tonight. Yummy! What time we eatin? These look interesting and easy to make. I love the taste of mayonnaise and have even made it from scratch. I dislike Miracle Whip because of the acid taste. These are about the fastest biscuits I’ve ever seen! Yum! They are quick Adrienne. I hope you enjoy! Wow!! I just made these and they are sooo yummy! Can’t taste the mayo at all! I will be making these more often! Thanks Christy! I am so glad to hear that. WOW, you are on the ball this morning! my aunt gave me this recipe years ago but it has to add sugar optional but i will try the salt next time. 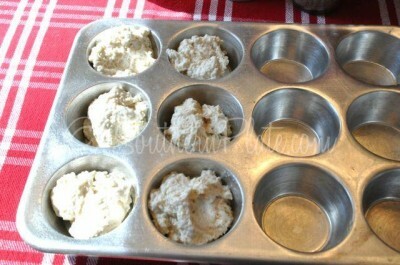 Mix, bake at 325 in mini muffin tins. I’ve also made this one….it’s GREAT! Christy, you are awesome! How did you know I was thinking about looking for a quick dinner roll recipe today? I was wanting some bread with our dinner last night and forgot to plan ahead. (I had to resort to store-bought white bread spread with some margarine and a sprinkle of seasoned salt thrown under the broiler until toasty brown and hot.. not ideal, but works in a pinch.) 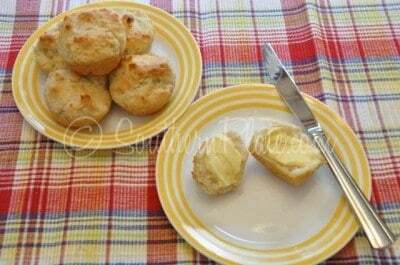 I was wishing I had a quick dinner roll/biscuit recipe that didn’t involve Bisquick since I didn’t have any on hand. Lo and behold, I open up my Facebook page this morning and what do I find, but this wonderful post!!! This is great! Thanks so much for sharing! 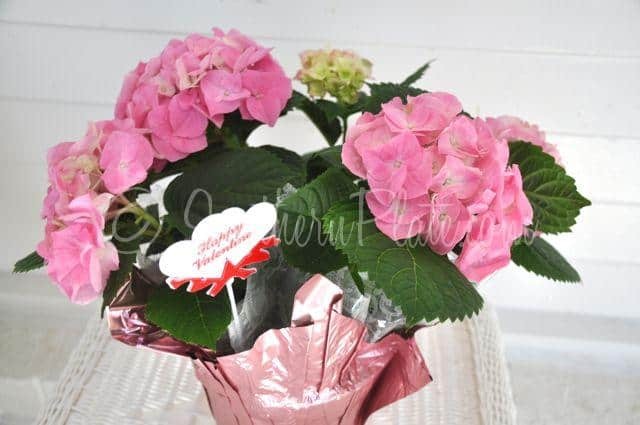 Love the hydrangeas!!! It’s so much better to get flowers that you don’t have to throw away when they’re done! I too am wondering if Miracle Whip could be used instead of mayo. Also, what using the lite instead of the regular? Man, they sound good, I’ll have to try them! Soooooo good! That was my breakfast along with a glass of milk. I just couldn’t wait until tonight to try them. These seem so easy and look so good! I will try them tonight with supper. One more thing I want to mention ~ All I had was FF milk and they were wonderful! I have made these rolls for a long time .When you need some bread quick they are great .I got the recipe from a friend named Ronnie .We call these Ronnie’s rolls –what else ? They look like biscuits. Do they *really* taste like rolls? I made these last night. They are somewhere between a roll and a biscuit. They rise like a roll in the oven, but have somewhat the texture of a biscuit. MMMMMM Good! !